The operation of the newly reversed Enbridge Inc.’s Line 9 pipeline has been postponed by a few months following the National Energy Board’s request for assurances that the waterways along its route will not be affected. 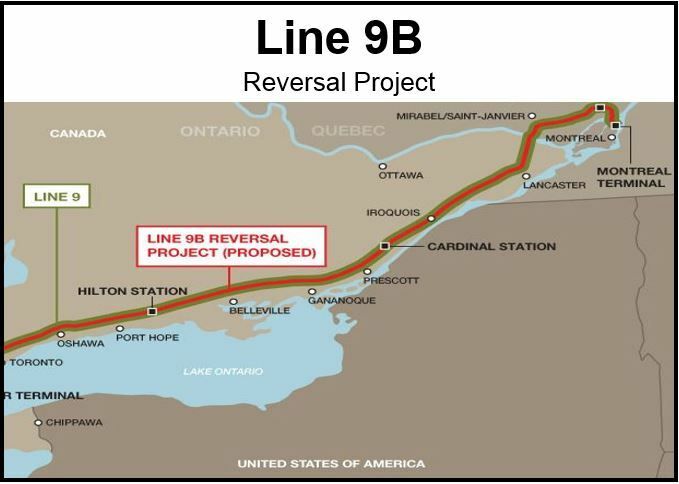 The plan was for Line 9 to start shipping western crude between southern Ontario and Montreal next month. There will now be a delay of at least three months. The company will likely have to do even more work to bring its pipeline in line with the watchdog’s standards before any oil flows. Condition 16 relates to where the valves should be regarding the water crossings. The valves protect the waterways from ruptures in the pipeline. The NEB says for the project to get its approval, more valves need to be installed. The NEB also disagreed with Enbridge’s definition of what constitutes a major water crossing. According to the NEB in its letter to Enbridge, the energy delivery firm will need to address its concerns at least 90 days before applying for approval. Enbridge announced on Friday that John Whelen was appointed Executive Vice President and Chief Financial Officer as from October 15th. J. Richard Bird stays as Executive Vice President, Corporate Development until he retires on December 31st, 2014.